GLENCORE is to buy full control of Mutanda Mining, a copper producer in the Democratic Republic of Congo, and lift its stake in the country’s Katanga Mining for a net cash investment of $534m. The Swiss-headquartered mining and commodities marketing company said in an announcement that it would own 100% of Mutanda and 86.33% of Katanga on completion of the transactions. Glencore ended its restructuring of the last 18 months in high style in December unveiling plans for a $1bn dividend this year and the likelihood of a special dividend the next. Days later it unveiled plans to join its 9% shareholder Qatar Investment Authority (QIA) in a €10.5bn swoop for 19.5% of Russian oil company, Rosneft. 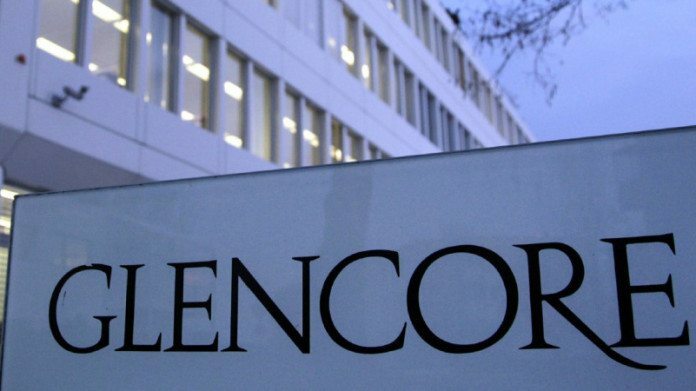 Glencore today said it had bought the shares it didn’t already own in Mutanda Mining – equal to 31% of the firm – from billionaire Dan Gertler’s Fleurette Group for a total consideration of $922m. Minus loans amounting to $556m, including $120m in interest and a $130m loan owed by Fleurette Group, and the $38m it paid to lift its stake in Katanga Mining, Glencore’s net cash out is $534m. It will own 86.33% of Katanga. The purchase of Fleurette’s stake in Mutanda valued the mine at about $3bn which was a similar value to a previous transaction in December 2013 when Glencore exercised an option to increase its stake to 69% from 54.5%, said Credit Suisse in a note. “This is the second acquisition the company has announced in the past three months following the announcement it would take a stake in Rosneft with QIA,” said Credit Suisse. “Given the deleveraging delivered through 2016, the company has returned to M&A and, if focused on minority deals and bolt-ons should be a relatively low risk way of driving future growth,” it said. In the nine months to September Mutanda Mining’s operations produced 162,300 tonnes of copper and more than 18,000 tonnes of cobalt. It escaped a production cutback in 2015 that was imposed on other assets in Glencore’s African Copper devision, of which Mutanda is a part, amid a decline in commodity prices.